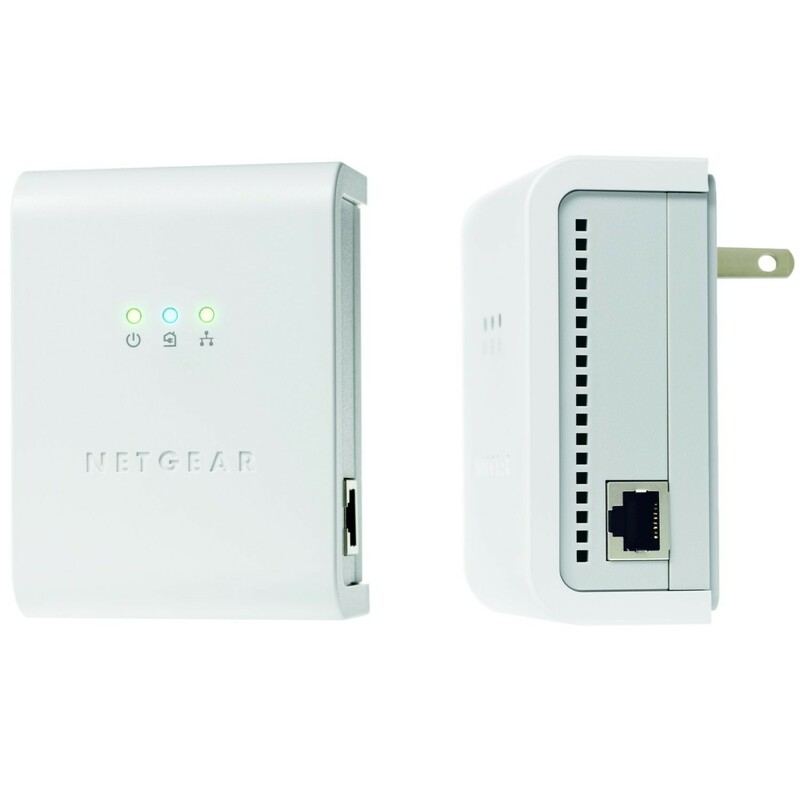 The NETGEAR 85 Mbps Powerline Network Adapter Kit extends your home network using your homes existing electrical powerlines. No setup required, just plug-and-play. Ideal for gaming consoles, DVR’s, Desktop PC’s, networked storage, and HDTV’s. Delivers fast, reliable 85 Mbps speed for applications such as multi-player gaming. 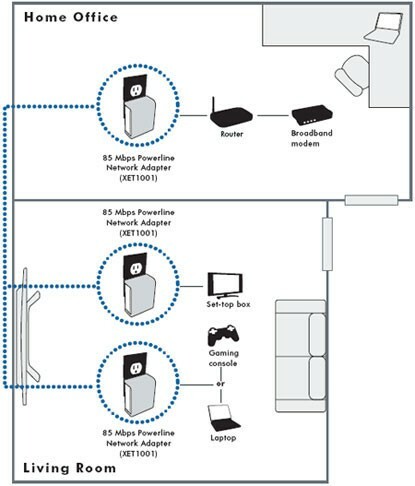 This product enables you to set up an Internet connection in any room without running new wires.